From November 8th to 11th 2017, the 25th Annual Conference of Croatian Psychologists „Psychology in the promotion and protection of human rights and social justice“ took place in Zadar, Croatia. The conference was organized by the Croatian Psychological Association, in cooperation with the Croatian Psychological Chamber, Zadar Psychologists Society, and the Department of Psychology, University of Zadar. At the opening ceremony, the conference theme was introduced by Vera Ćubela Adorić, the chair of the Programme Committee, Mirjana Krizmanić, the conference president of honour, and Furio Radin, the vice-president of the Croatian Parliament and a member of the Parliament's Committee on Human Rights. The opening keynote „Children’s Rights: A Burden or Challenge for Psychologists?” was given by Maja Gabelica Šupljika, the Croatian Vice-Ombudsperson for Children. Inspiring keynote speeches were delivered on consecutive days by Dominic Abrams of the University of Kent (“In the Balance? Psychology, Human Rights, and Social Justice”), Polli Hagenaars of the EFPA Board on Human Rights and Psychology (“State of the Art of a Human Rights Based-and-Oriented Psychology”), Jan-Willem van Prooijen of the International Society for Justice Research (“Belief in Conspiracy Theories“), and Tom Warnecke of the European Association for Psychotherapy (“Psychology – As if People Mattered”). 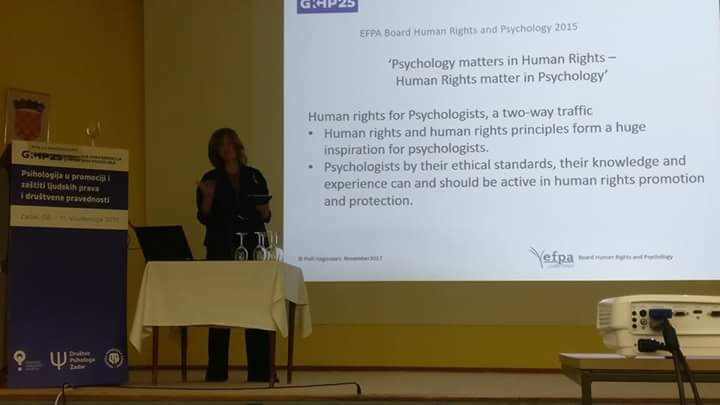 The conference offered a forum for the exchange of research findings as well as of the professional experiences and insights into the role and competencies of psychologists in promoting and protecting human rights and social justice by more than 370 psychologists. With 187 active contributions, including nine symposia, 13 roundtables, ten oral and two poster sessions, the conference covered a range of issues such as education of psychologists about human rights and social justice, the inclusion of children with disabilities, gender equality in education and labour market, intergenerational justice and solidarity, stigmatization, integration of immigrants and minorities, sexual harassment and violence at the workplace, LGBT parental rights, destigmatization of mental health problems, and the ethical and professional responsibilities of psychologists for the promotion and protection of human rights. 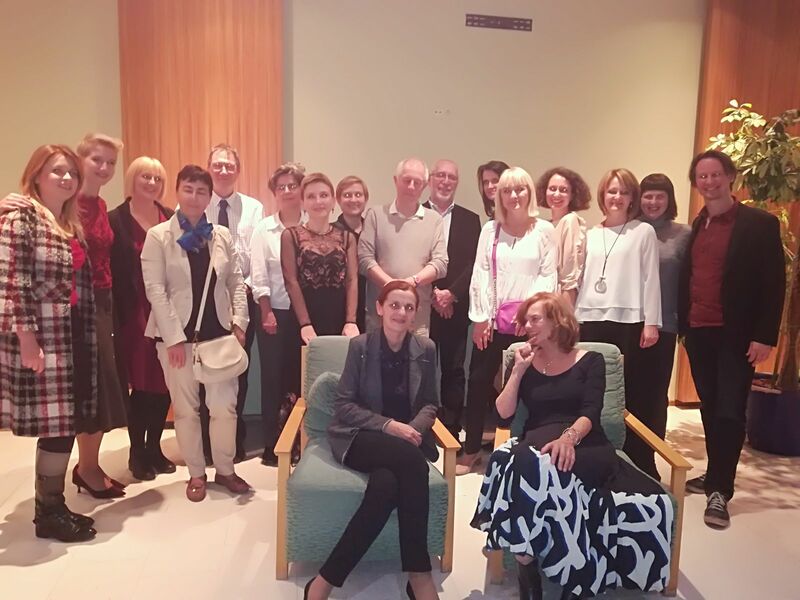 The conference activities resulted in the initiative to establish a committee for human rights within the Croatian Psychological Association, which was announced at the closing ceremony.